Our company is a family run business spanning over 3 generations, specialising in all aspects of Building, Excavation, Construction and Groundwork. 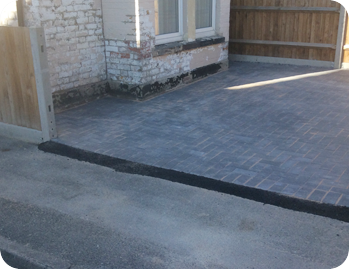 Whether you are looking for a stunning, new driveway to be installed, an extension or porch to be built or you are simply looking for a brick wall to be rebuilt or repaired in your garden, FGD Services (Southern) Limited are the company for you to call. We believe in core family values and take pride in our smartness and cleanliness when visiting potential customers. Our main objective is to complete our jobs on time, on budget and to the highest standards. Our customers´ satisfaction is of paramount importance to us and that is why we have built up a great reputation in the local area over the last 54 years. Our family run team are based in Marlow but are happy to undertake enquiries from domestic, commercial and industrial customers in all surrounding areas including High Wycombe, Maidenhead, Slough, Aylesbury and Henley on Thames. When you contact us here at FGD Services (Southern) Limited, you will be inviting professional, experienced craftsmen into your home or business to discuss your requirements. Building, Excavation, Construction and Groundwork specialists serving customers in Marlow, High Wycombe, Maidenhead, Slough, Aylesbury and Henley on Thames. We are a professional team and are hands on to ensure the project runs smoothly, on time and on budget, listening to our customers needs at all times. However small or large you think your requirements are, we are here to help you put them into reality. We are fully insured and Health and Safety compliant, all of our work is guaranteed and we have references available on request. Call us today to organise a free site visit and receive a free no obligation quotation, call us on either 01628 659060 or 01494 809345. I have been absolutely delighted with work carried out on my drive and front garden by Ben Dunstall from FDG. The quote for the work was very reasonable and the standard of work, attention to detail and precision workmanship has been exceptional - far outstripping my expectations. The finished job is extremely professional and puts other similar projects in my road in the shade. Ben and his team were a pleasure to deal with. They were polite, respectful of neighbours and other road users and always left the site clear and tidy each night. I have really valued Ben's expertise in all aspects of garden design. There was good communication and consultation over minor changes to plan and I was happy to let him advise me as the project went on. I've had lots of positive comments from friends and neighbours and passers-by and am more than happy to highly recommend FDG to anyone. Thanks, Ben! Just a quick note to thank you for your hard work this year. The numerous pieces of work have always been expertly carried out, from resurfacing the car park and reroofing our garage, relaying our drains and completing some complex foundations for the extension. You have always been honest, courteous and cometitively priced. I would not hesitate to recommend you to other companies. Riverside garden requiring repairs/campshedding to riverbank and general making good/tidying. From concept to design to the finished job - absolutely superb service. Ben, Simon (and Dad) took on a challenging project that needed to fulfill Eco sensitive requirements and the results are now much admired. Already booked for the next job !! Very Highly Rated people !! Would just like to thank you and your team for our beautiful new drive. Several neighbours have commented it is the nicest drive in the road. Thank you for the excellent service and talking us through several different options, we will definitely be recommending you to family and friends, we will be in touch if we ever need any other building work doing. Have been absolutely delighted with work carried out on my drive and front garden by Ben Dunstall from FDG. The quote for the work was very reasonable and the standard of work, attention to detail and precision workmanship has been exceptional - far outstripping my expectations. The finished job is extremely professional and puts other similar projects in my road in the shade. Ben and his team were a pleasure to deal with. They were polite, respectful of neighbours and other road users and always left the site clear and tidy each night. I have really valued Ben's expertise in all aspects of garden design. There was good communication and consultation over minor changes to plan and Iwas happy to let him advise me as the project went on. I've had lots of positive comments from friends and neighbours and passers-by and am more than happy to highly recommend FDG to anyone. Thanks, Ben!